Today in Masonic History Frederick Herbert Babbitt passes away in 1931. Frederick Herbert Babbitt was an American businessman and politician. Babbitt was born in Keene, New Hampshire on November 23rd, 1859. He graduated high school from Bellows Falls High School in 1876. Babbitt began his career working for the American Express Company out of Boston, Massachusetts. He would work his way from from the position of messenger when he started up to an auditor for the company over 16 years. Toward the end of his career with American Express he was traveling between the offices in Boston and Burlington, Vermont. After resigning from American Express, Babbitt went into business for himself. He owned a variety of businesses both on his own and with his brother. He owned plumbing stores in Walpole, New Hampshire and Bellows Falls, Vermont. He also owned three train station restaurants, one in Bellows Falls, one in White River Junction and one in Saint Albans, Vermont. Babbitt and his brother went into the paper business in the min-1890's. They owned two paper companies. One in Bellows Falls and the other in Maine. The one in Maine was sold after 5 years. 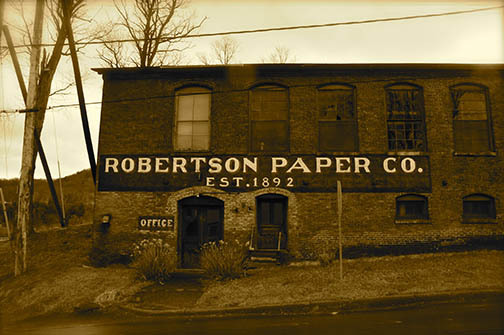 The other, The Robertson Paper company became the largest producer of Wax Paper in the United States. Babbitt served in a variety of local offices in Bellow Falls, Vermont. In 1910, he was elected to the Vermont House of Representatives serving for two years. In 1912, he was elected to the Vermont State Senate serving until 1913. During his time in the Senate he served as President pro tem of the Vermont State Senate. He ran unsuccessfully in 1920 for Governor of Vermont. Babbitt passed away on July 29th, 1931. Babbitt was raised in Lodge of the Temple No. 94 in Saxtons River, Vermont in 1887. That lodge merged with King Solomon's Temple Lodge No. 44 to form King Solomon's Temple Lodge No. 45 in 1903. He served as Grand Master of Vermont from 1926 to 1928. He was also coronated as a 33° Scottish Rite Mason.